What to do with old gadgets? If you’re an early adopter, you probably have a few old gadgets around that are gathering dust. For one thing, most old gadgets are fairly obsolete now. Case in point, Personal Digital Assistants (PDAs) have been replaced by a smart phone. Actually, a smart phone is the combination of a PDA and a cellphone. 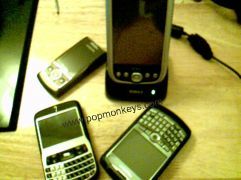 I know a few things about smart phones because I own a couple. Very few people have a need for a standalone PDA because who needs to carry an extra “thing” around with you. I only thought about my old PDA when I saw the Nokia N810 on sale for $250. I almost bought it, but I held back. My old PDA is a Dell Axim x51v. It had all the makings of a good netbook. It was shipped with Windows Mobile 2003 Second Edition. 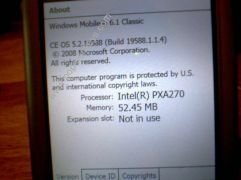 So far, I flashed the OS to run Windows Mobile 6. There are a good tutorials out there if you want to do the same. Stay tuned for more mods and hacks on my newly revived Dell Axim x51v. 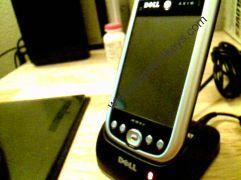 This entry was posted in DIY, Gadget and tagged Axim, Dell, PDA, WM6 on January 25, 2009 by admin.